Mrs. Julia Zimmerman assumed the new position of Technology Integration Teacher in the Fall of 2016 at St. Ursula School. 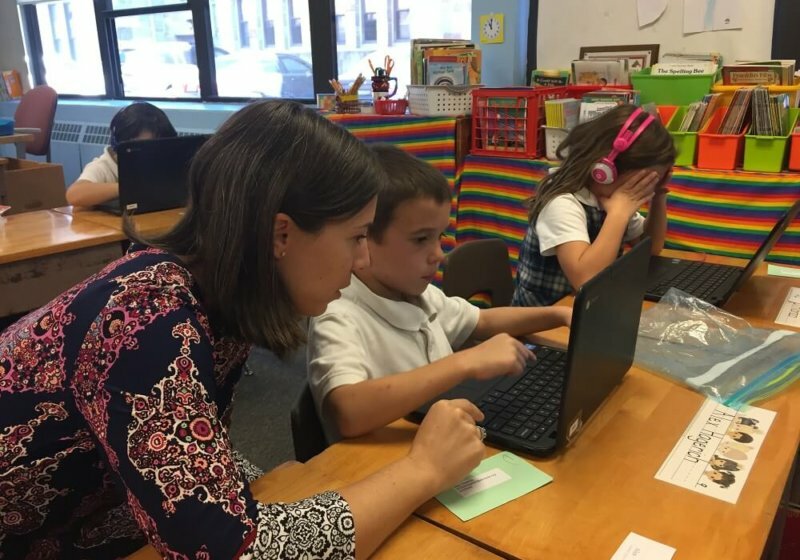 With a sketch of what students would need to be technologically safe and technologically proficient, Mrs. Zimmerman plans lessons for the elementary and middle school grades focused on these two aspects. Last year, she oversaw the roll-out of Chromebooks for the entire school. Mrs. Zimmerman worked collaboratively with classroom teachers assisting them in integrating technology within the classroom. She brought forth a wealth of sites and applications which directly relate to the Archdiocesan curriculum. In addition, during each faculty meeting Mrs. Zimmerman presents to the faculty technology ideas and programs which could be used immediately. She continues to serve as an instrumental resource to teachers and students, dedicating much personal time to better enhance the integration of classroom technology for St. Ursula School students and teachers.